Plot: Noah, with the help of alien creatures, builds a huge ship to save his family and the animals from a massive flood. Director Darren Aronofsky said NOAH was the most unbiblical bible movie ever made, and he wasn't kidding. That said, there is zero need for people of faith to be upset by this movie. Basically, Aronofsky has a main character named Noah, he builds a boat and there is a flood. That is the beginning and the end of the similarities with the original story. In fact, if God sued Aronofsky for copyright infringement, He would probably lose. It feels like Aronofsky read a children's version of the Noah story, realized he had enough material for a 15 minute film, then filled up two more hours of preaching about how humans mess up the earth and why animals are better than humans...oh, and alien-like creatures and a snake that looks like a Dodge Neon. 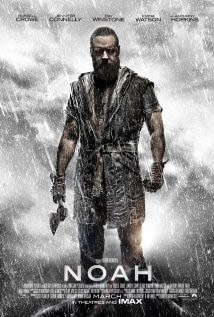 Russell Crowe does a fine job as Noah, but again, this is not the biblical Noah. This is a man that is just as flawed and crazy as the people dying outside the ark. Aside from everything else this is just not a very good movie. It's slow moving, it's preachy, and the special effects are sub par for a movie of this magnitude. A lot of people I know had to see this in theaters even though most of the reviews they read were bad. To a person, they all came out of it and said it was a horrible waste of their time and money. Plot: Three women are brought together by one cheating man.